Home � BKC Politics � Casinos in the Catskills? It's on the ballot??? Casinos in the Catskills? It's on the ballot??? Whether you're a political junkie who has scrupulously followed the mayoral and city council races, or have just paid glancing attention to it all, you know about DeBlazio, Lhota, and probably your local city council incumbents and challengers. 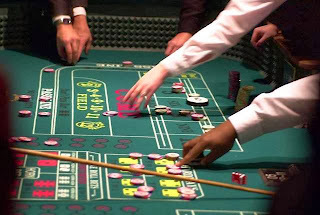 But if you didn't realize that there are also six statewide propositions on the ballot, don't kick yourself too hard – there has been scant publicity about them, even though Proposition 1, for example, is a yes or no vote on whether casino gambling should be legal in the Catskills – certainly not a minor issue. More information on each of these propositions, including arguments for and against each, is available at votesmart.org.